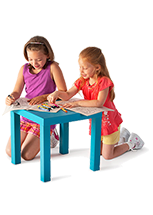 Early EducationOur Early Education programs are for children from 6 weeks to 6 years old. Part-time programs are available. School Age Child CareBefore and after school care for children in grades 1-6. We also offer school vacation camps, and Y Half Days for early release days. Kids Stop BabysittingBoth Y branches offer this wonderful convenience for parents while they work out or swim in our facilities. Camp SargentCamp Sargent is a summer day camp on lake Naticook in Merrimack which offers programs for boys and girls 5-16 years old. Camp SpauldingA classic resident summer camping experience in Penacook, Camp Spaulding offers programs for boys and girls ages 7 to 16+. Merrimack Day CampsCamp is about learning skills, developing character and making friends. 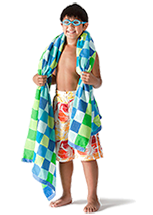 The Merrimack Y has summer day camps for kids in preschool to grade 6. Nashua Day CampsCamping is for everyone, and the Nashua Y has summer camp options for kids in preschool all the way up to grade 12. Westwood Park CampsSports Camps at Westwood Park focus on individual skill development as well as the team ideals of sportsmanship for kids entering grades 1-8. BlogEvents, announcements and updates from The YMCA of Greater Nashua. Stay up to date on all the latest happenings in your community. Event CalendarTake a look at what’s going on at the Y this month. Our event calendar is a great way to see what’s on deck all in once place. 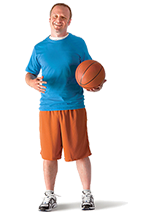 Share Your Y StoryA place to share your YMCA story and get inspired by others. Our wellness programs build positive health habits at any stage of life. Get on track to a healthier you. Our wellness classes focus on working out in a supportive, fun and safe environment that promotes positive healthy choices. We have programs for all ages and experience levels. Search the listings below or check out our program guide to see what’s available. At the Y, a supportive community is a big part of wellness. 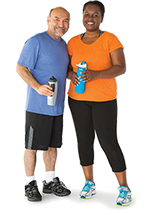 At every age and every level of activity, you’ll find people just like you looking to live a little bit healthier, and our wellness programs are designed to help. Wellness is about being active, making healthy choices, and feeling great in mind, body and spirit. Classes, seminars, and personal training at the YMCA address every angle to get you on the path to a better, healthier you. 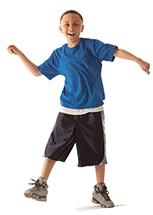 Get your kids active inside and outside with one of our preschool or youth wellness classes. If you’re looking for classes to teach your child proper exercise and stretching technique so they can work out with you in our Wellness Center, these are just what you need. Boys Rock, Strong Girls, Superhero Workout and Kids Run the Y are some of the wellness classes we have to offer. Search the program listings below to view the programs. 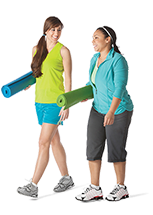 Stay active and focused with one of our teen or adult wellness classes. If you’re looking to focus on your strength, cardio, and endurance, these classes are just what you need. Adult Running Club, Personal Training, Pure SYNGERY, and Warrior Workout are some of the classes we have to offer at the Y. We also have seminars and classes that focus on relieving stress, improving your diet, and making healthy choices overall. Search the program listings below to see what we have to offer this session. Looking to take the next (or first!) step? Let one of our nationally certified trainers take you to the next level. Work one on one or with a friend but receive a personalized workout and attention. We can help you reach your goals! 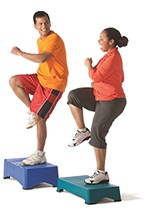 Have fun and move to the music through a va- riety of exercises designed to increase muscu- lar strength , range of movement, and activity for daily living skills. Hand-held weights, elastic tubing with handles, and a ball are offered for resistance and a chair for seated and standing support. Senior Chair Yoga- Date is now 4/25!! 18+ This class is designed for adults looking for a consistent exercise schedule right after work! Every muscle group will be targeted along with a focus on cardiovascular conditioning. Each workout will be different utilizing various equipment and styles of training. Geared towards adults 55+ and designed to help you stay motivated with exercise by using proper alignment to increase your cardio, strength, balance and stretching. This class also helps you begin or continue working towards a healthy mind, body and spirit for your daily life! This class will make us stronger and empower us to be the best we can be! Using our own body weight ( Additional light weights may be used) we will become stronger, faster, and more confident. © 2019 YMCA of Greater Nashua.